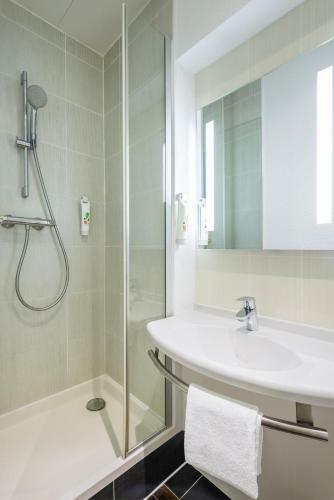 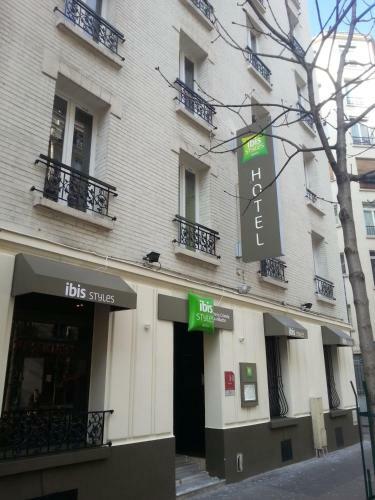 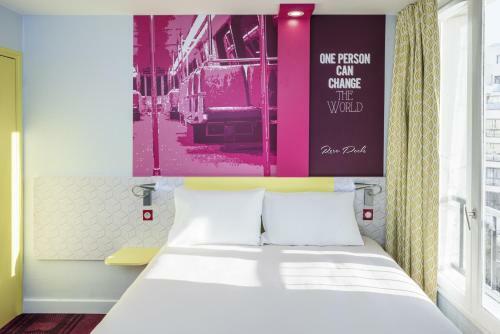 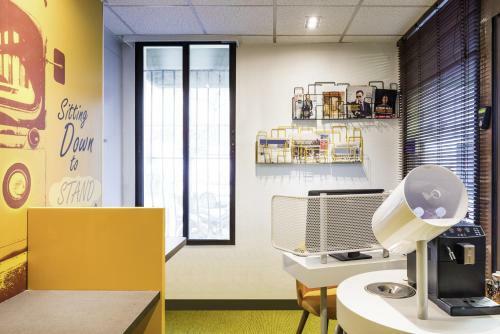 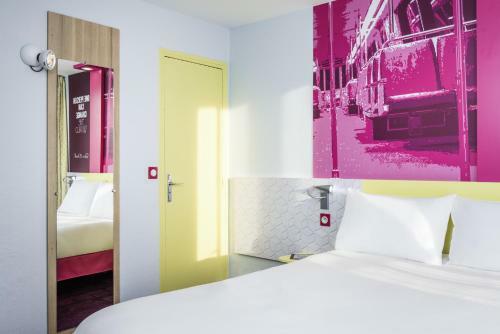 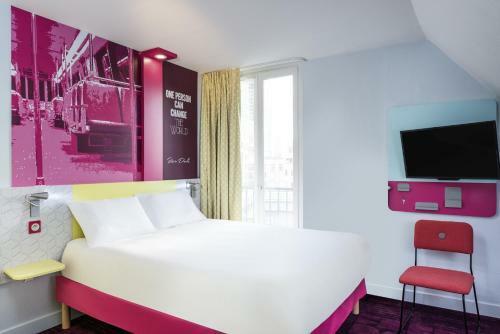 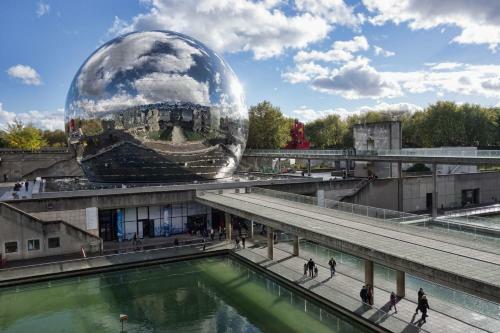 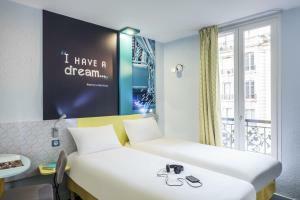 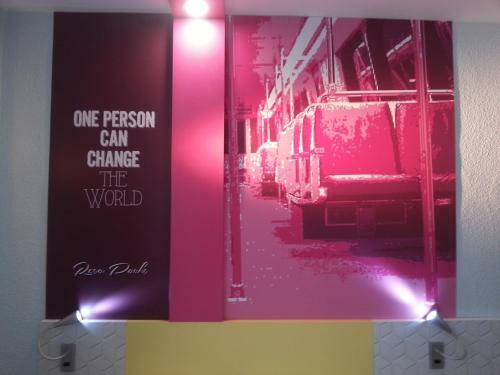 The ibis Styles Paris Crimée La Villette is located in Paris, a 15-minute walk from Parc de la Villette. 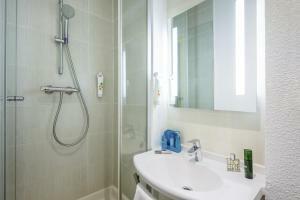 It offers rooms including an LCD TV with satellite channels, a private bathroom and free Wi-Fi access. 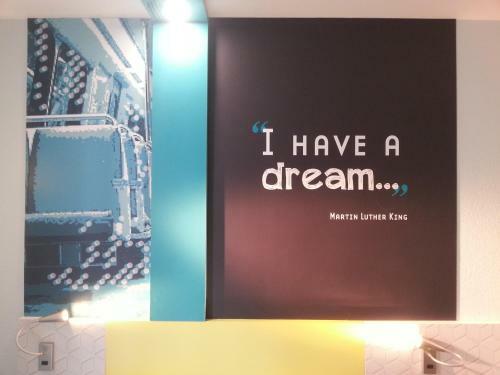 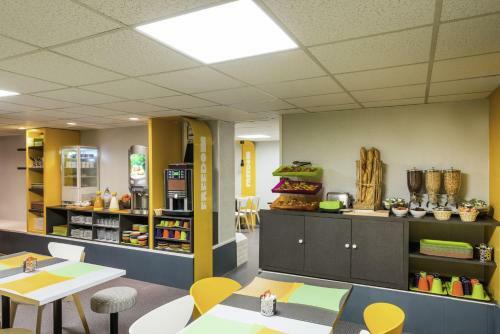 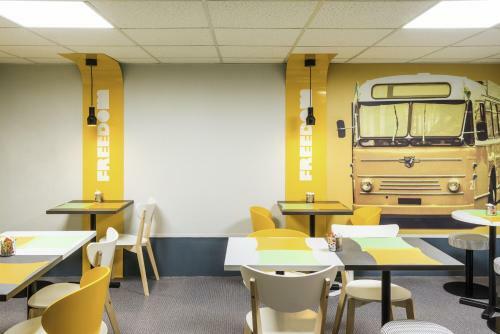 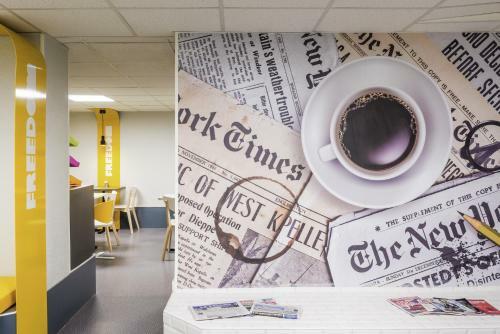 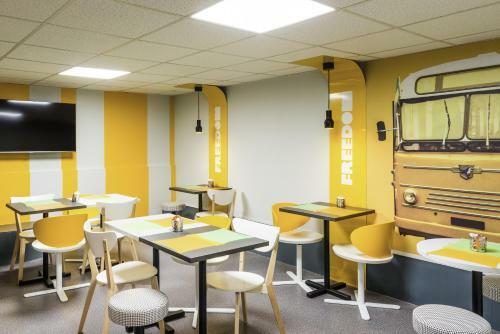 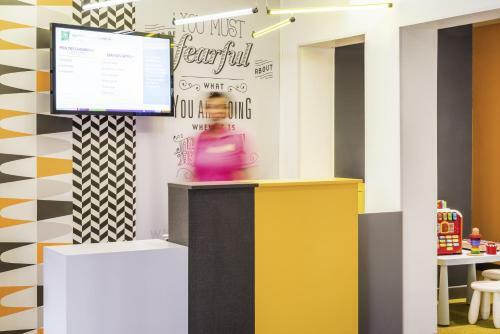 A buffet breakfast is available in the mornings, served at the ibis Styles Paris Crimée La Villette's dining room. 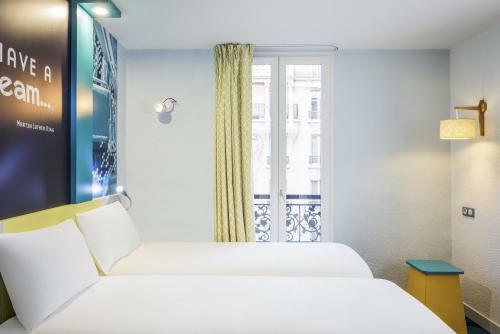 Guests can find numerous restaurants within walking distance of the hotel for a quick lunch or a typical Parisian dinner. 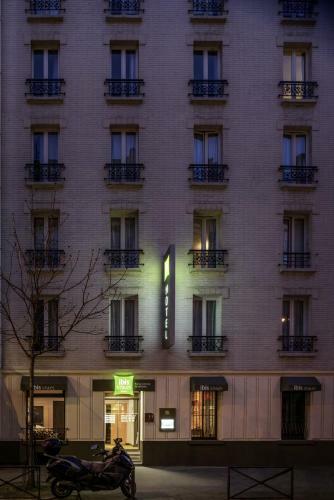 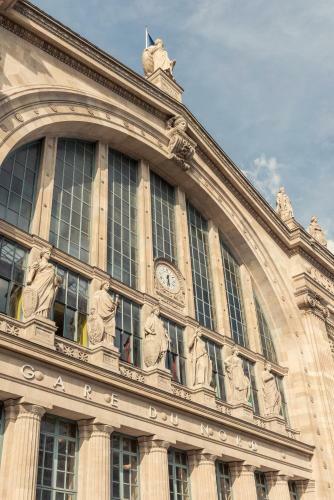 Crimée Metro Station is 150 metres from the hotel, providing direct access to Châtelet Theatre and the Louvre Museum in 30 minutes. 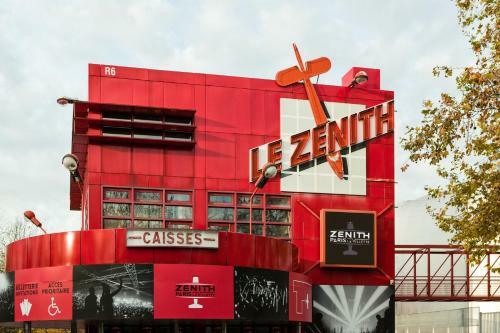 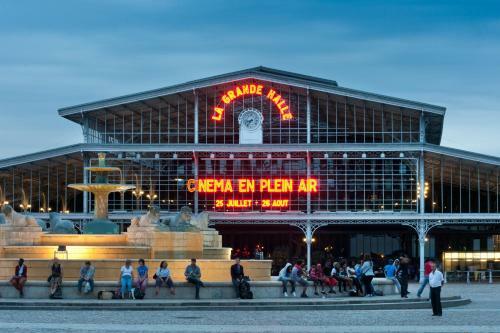 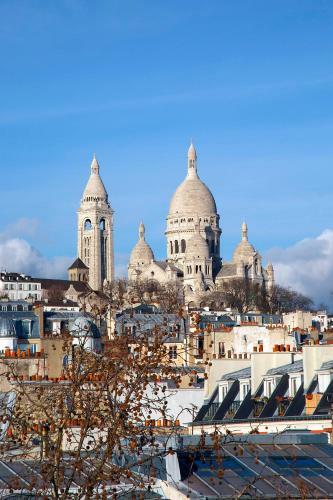 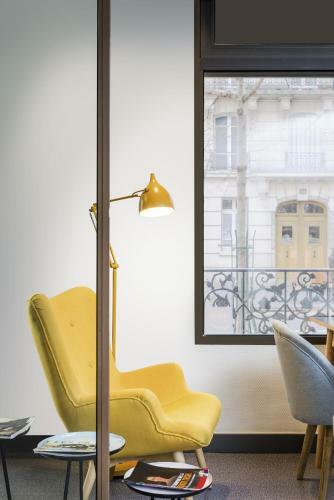 It is 500 metres from Canal Saint Martin and an 18-minute walk from Parc des Buttes Chaumont. 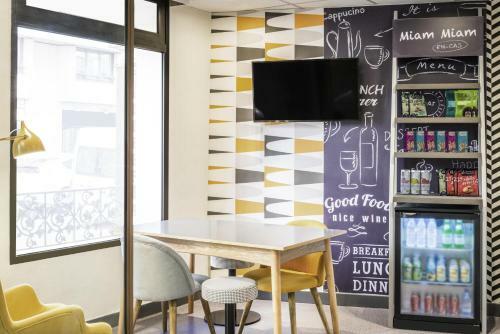 A car park is available nearby, at a surcharge. 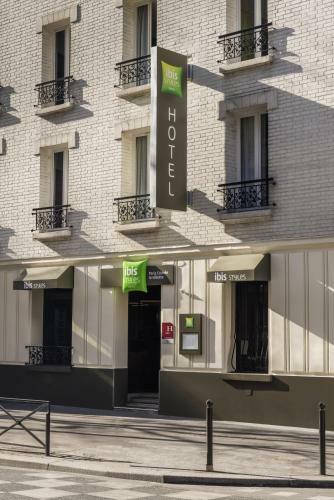 Rate: € 62.50 ... € 135.00; select dates below to get current rates.